Control Solution, Glucose Control Solution, BUY Assure 4 Control Solution, 560006. 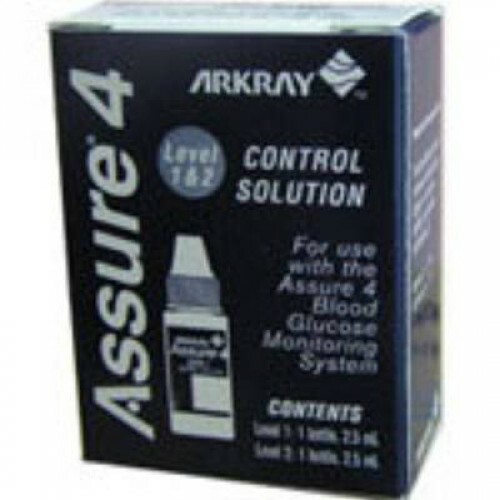 Assure 4 Control Solution, manufactured by Arkray USA, are glucose control solutions used to test the accuracy of Assure blood glucose meters. These Control Solutions act like blood when they come in contact with the test strips. In order to verify that the test strips and meters are working perfectly. Test the accuracy of your test strips before using them. Ensure an accurate reading every time.